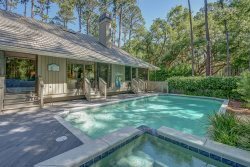 Heritage Realty Group is a property management company located on Hilton Head Island. HRG is locally owned and operated by Phillip Hartman. Phillip has lived on Hilton Head Island for 20 years. His professional experience includes, property management, asset preservation and financial analysis. HRG currently provides property management services to both residential and commercial investors.